The New Deal is the collective name given to federal programs launched to fight the Great Depression of the 1930s. One of these was the Treasury Relief Arts Project (TRAP). The idea was to have established artists decorate existing public buildings. 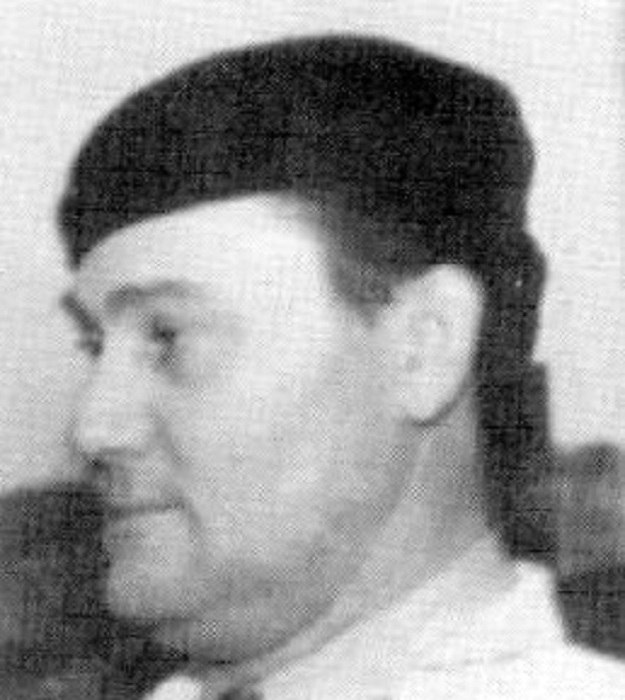 George Melville Smith was an artist commissioned through TRAP. He painted murals in a number of buildings around the Chicago area, including the Schubert Elementary School in the city, and the post offices in Elmhurst and in Crown Point, Indiana. In 1940 Smith completed “Indians Cede the Land” at the Park Ridge post office. The mural measured 6x20 feet. 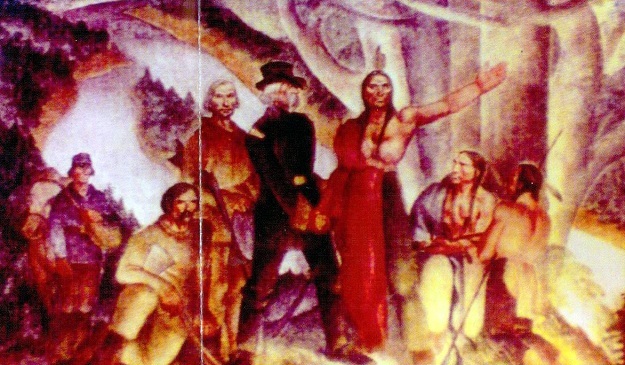 Depicted was an idealized scene of a Native chief and an army officer shaking hands as settlers move into a new territory. The artist received $2,000 for his work. "Indians" hung in place for thirty years. In 1970 the Park Ridge post office moved to larger quarters, and the building became headquarters for the local school district. The new tenants planned extensive redecoration. They had no use for the mural. Enter Paul Carlson, a history teacher at Maine South High School. He found out that the New Deal mural was going to be thrown away. Along with a few students he removed the painting from the wall and rolled it up. He stored it in his home. Carlson had saved a historic piece of artwork from destruction. But he wasn’t a conservator. The mural had already gone through various indignities during its public display. Now, over the long years in storage, “Indians” gradually deteriorated. Paul Carlson died in 2008. After his death, the Carlson family presented the mural to the Park Ridge Public Library. I’m on the library’s Board of Trustees. We were happy to receive the mural. The big question was whether it could be restored. After shopping around, we found out that restoration was possible. The cost would be about $40,000—which we couldn’t afford. Three of our trustees formed an independent committee to solicit donations from the public. The committee also received a grant from the Park Ridge Historical Society. Last year the fund-raising goal was reached. Work began on bringing the mural back to life. Now restoration is complete. On February 23, George Melville Smith’s “Indians Cede the Land” goes on permanent display at the Park Ridge Public Library, 20 South Prospect Avenue in Park Ridge. Once again, public art will be available to the public.